This Monday, order on your Starbucks app and leap the line to refreshment. 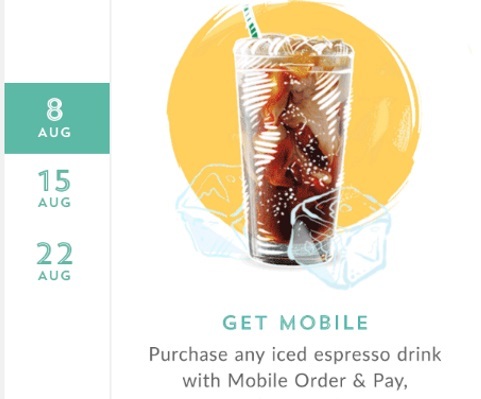 When you purchase an iced espresso drink (like an Iced Americano) before 2 pm using Mobile Order & Pay, you'll come away with 50 Bonus Stars. Offer is valid on Monday, August 8, 2016 only. Must pay with your registered Starbucks App.